Which comes first? The fully articulated site plan or the signed deals with office tenants? Most folks in real estate understand that it’s a chicken and egg game. You can’t compel companies to sign deals without explaining the vision of the site, you can’t finalize a site plan without financial commitments. 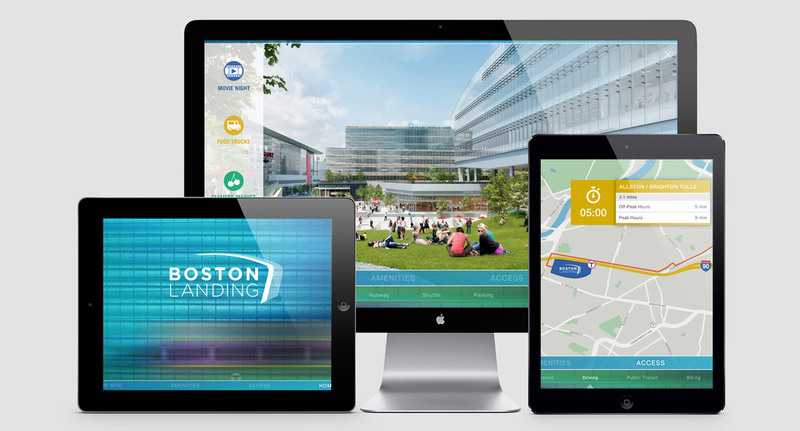 That’s the dilemma our client faced in the early stages of planning Boston Landing. 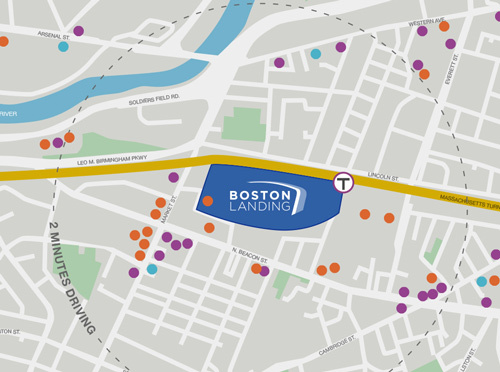 With direct access from downtown and an adjacent commuter rail stop, Boston Landing is now a vibrant new neighborhood full of shopping, dining, office and green space. We like to think that our branding played a small part in how it went from a vision to a reality. 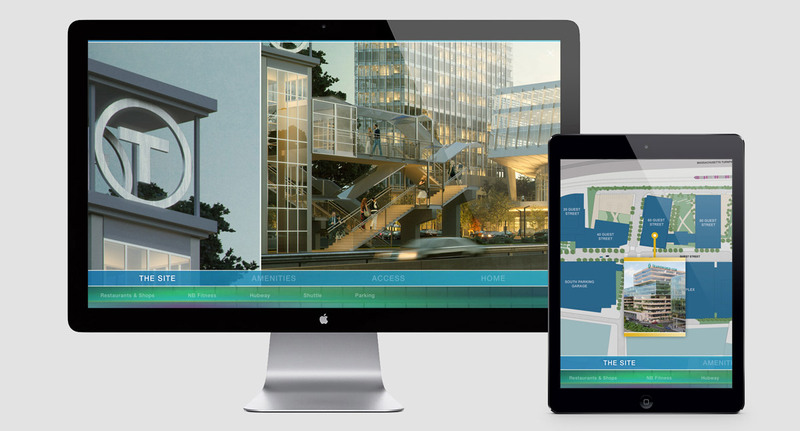 Through the use of interactive storytelling, we created a leasing presentation that helped potential tenants understand the vision for this new neighborhood and the office opportunities within. 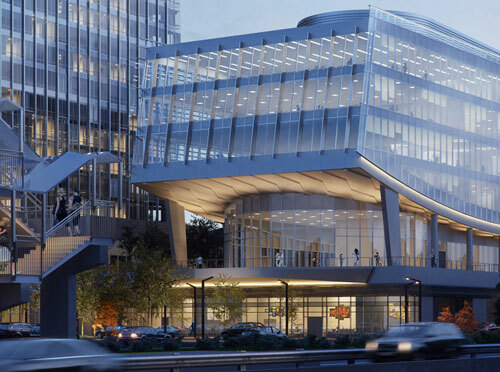 The dynamic presentation allowed CEOs and CFOs the opportunity to envision enjoying lunch on the Rolling Green, a workout at the state-of-the-art NB Fitness Center and the ease of commuting by rail or car. 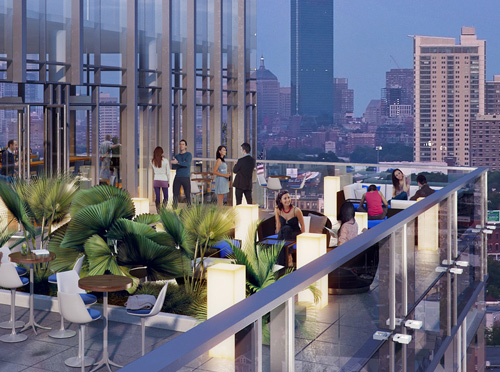 Incorporating an illustrated site plan, renderings, photography, a custom area map and several animation techniques, the leasing tool helped potential investors further understand signage possibilities, planned parking and even robust area amenities. The best part? Owners and brokers not only have the tool to address questions in real time, but they have all the answers in a compelling, easy to understand format.